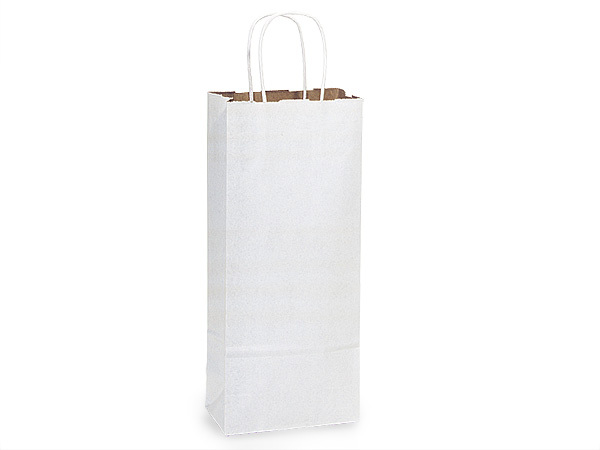 Wine White Fusion Paper Bags 25 Pk 5-1/2x3-1/4x13"
Vino size White Fusion Recycled Kraft Paper Shopping Bags by the 25-Pack are white on the outside and brown on the inside. They are made of 60# paper weight from 100% recycled paper - 95% post consumer. A Green Way ® - Packaging with Purpose brand product. Made in the USA.